A picturesque natural paradise along with scintillating white sandy beaches, abundant coral reefs and verdant forest, Havelock is located 39 km of north-east of Port Blair. It is the biggest and one of the most populated island in the Andaman group of islands. Spread in an area of 113 sq. km, Havelock is the most favoured destination and most visited island Of Andaman and Nicobar Islands. The beautiful white sand beaches of this compatible and imposing island are fringed with the green canopy of the rain-fed forest, ensuring a mesmerizing view for the tourists to soothe their sight. Apart from the hypnotizing tranquillity and extraordinary ambience, tourists can be seen enjoying a lot of different adventure activities here such scuba diving, snorkelling and trekking, to name a few. For many centuries, Havelock remained virtually unknown to the world like the other island in Andaman Archipelago. A marine surveyor names James Ritchie, the man responsible for the name of this archipelago, was handed the task of travelling the seas off the eastern coast of India and charter the routes to any island he may find, during the early years of the British colonization of India, in the 18th century. The island was once inhabited by the tribal natives but now it has settlers from different parts of Indian mainland. Havelock island is one of the biggest island that comprises of Ritchie’s Archipelago, a chain of island to the east of the Great Andamans in the Andaman group of islands with a widespread area of 113.93 km. Havelock island is located at 57 km north east of the capital city, Port Blair. It is one of the most populated island of Andaman and Nicobar Islands with majority of the population consisting of Bengali settlers with many of them originating from Bangladesh as the Indian government gave these people a settlement after the 1971 war between India and Pakistan. Government ferries ply daily from Phoenix Bay Jetty in Port Blair towards Havelock Island. Private luxury boats and ferries also takes the tourists to this pristine beach island from Port Blair. Helicopters can also be hired from Port Blair to reach the Havelock Island if you’re not low on budget. A ferry takes anywhere up to 1.5 – 2.5 hours to reach Havelock from Port Blair. Tourist should book the tickets in advance during the peak season to avoid the hassle later. The best time to visit Havelock island is from October until ending of April. During the winter season, October to February, the temperature is pleasant and ranges between 15 °Celsius to 34 °Celsius. Many honeymooners can be seen on this island during the winter season. March and April are the months of summers when you can enjoy various water sports such as snorkelling, diving, swimming and so on. The weather is quite pleasant during these months and the temperature ranges between 28 °Celsius to 30 °Celsius. The island of Havelock is abode to numerous picturesque beaches such as Radhanagar Beach, Elephant Beach, Vijayanagar and Kalapather Beach, which are amongst the top tourist attraction in Andaman. With all the enthralling activities Havelock has to offer such as combing, sunbathing, scuba diving, surfing, snorkelling, swimming, sea walking, game fishing and birdwatching, this island is a frolic magnet that attracts everyone who pays a visit to Andaman and Nicobar Islands. Tourists get to experience a wide variety of seafood on this island as seafood is the delicacy of Havelock island, like the other islands in Andaman. The food here is a bit more expensive than it is in Port Blair, but still is very affordable. Apart from seafood, non-vegetarian dishes such as meat and chicken are also prominent part of their food as most of the people are Non-vegetarian, as they depend on seafood primarily. With the tourism sector developing immensely in Havelock Island, numerous good quality restaurants have started to function and try their best in providing tourists with all kinds of cuisine and delectable food. Havelock is undoubtedly one of the safest area in the whole of India as it’s not a large city or town, with area spreading over 113.93 km. The Andaman and Nicobar Police (ANP) force is coherent one implementing all the laws, rules and regulations and maintaining a favourable law and order and protecting the citizens as well as tourists. There are 4 main costs in Havelock Island namely, Accommodation cost, Transfer cost, Food cost and Activities cost. Accommodation in Havelock islands can range from as low as ₹700 for basic backpacker’s shack to as high as ₹25000 per night in luxurious resorts depending on the budget of the traveller. The transportation can cost you up to ₹400 for a drop from the Jetty to beach number 5 by a car while autorickshaws charge ₹100 for the same. Tourists can also hire scooters and bicycle for the day at ₹500 and ₹100, respectively. Adventure activities like Scuba Diving can cost you up to ₹3500 and kayaking can cost up to ₹2500 per person. Different activities have different prices accordingly. Food is a little bit expensive than other islands in Andaman. A meal for two can cost you around ₹400 in a basic shack restaurant and around ₹1400 at a luxury resort. In conclusion, a day in Havelock can cost a person anywhere between ₹2500 to ₹10000, depending on the budget, obviously. 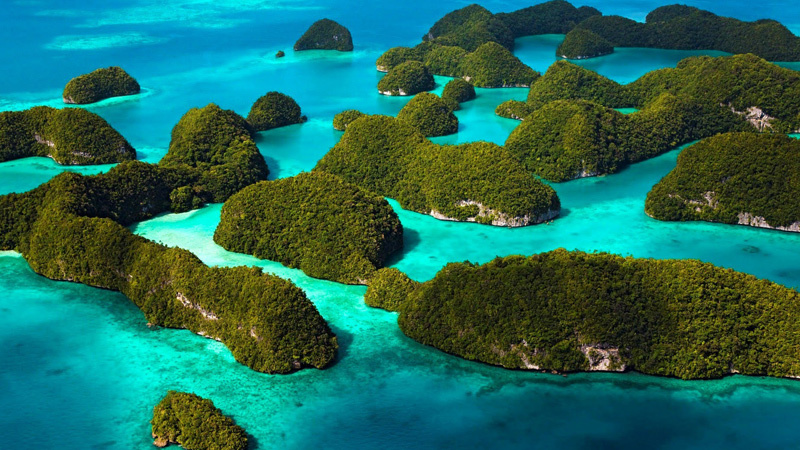 Havelock islands enjoys three main seasons: Summer, monsoon and winter. Because of its location in Bay of Bengal, the island experiences heavy winds during the Monsoon season. Also, the climate is tropical like the rest of the islands in the Bay of Bengal. Havelock trades in Indian currency like the rest of the islands in Andaman. Havelock has only two ATMs to dispense the cash. BSNL provides the best network on this island although there are towers of Airtel and Vodafone. Data network can be slow. Many cafes offer Wi-Fi facility, but it can be really sluggish and expensive. Havelock is best among all the islands of Andaman when it comes to tourist infrastructure. You can find beach resorts at pocket friendly rates or more luxurious cottages at higher cost. The price can be anything from ₹500 to ₹25000 per night. There are many government ferries and private and luxurious boats which easily ferries tourists from Havelock to different islands of the Andaman group such as Neil Island, Ross Island etc.